Once you have built confidence in your skills from classes and trips on the Potomac and have a greater competence on moving water, you ready to explore further afield! There are many amazing, classic runs in Western Maryland, Pennsylvania, and West Virginia. Liquid Adventures has been spending 35 winters exploring the canyons, blue travertine drops, and steep creeks of Mexico. Or, join us for a week in Canada for some high-volume surfing and fun! 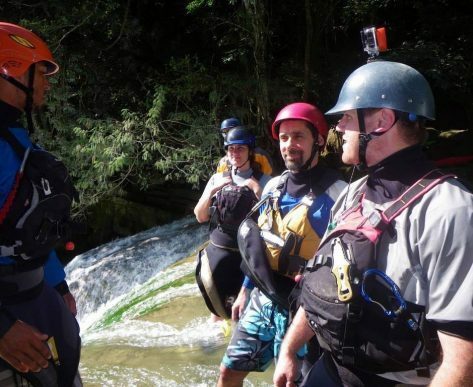 Our trusted, experienced instructors and guides will share our favorite adventures on rivers beyond the Potomac. We’ll show you new lines, help give you confidence to try tougher moves, and provide expert coaching every step along the way. 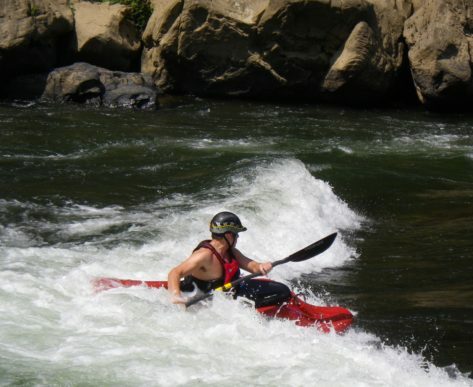 Intermediate kayakers have lots to learn and lots of fun to be had on trips. Whether you are a weekend warrior or want a week-long adventure of a lifetime, we have a trip for you. So what are you waiting for? We’ll see you on the river! Lower Yough: Refreshing class III run in PA. We run a trip the last weekend of the month June – September. Canada: Surfing and river running is the goal here on classic, high volume rivers in Ottawa! 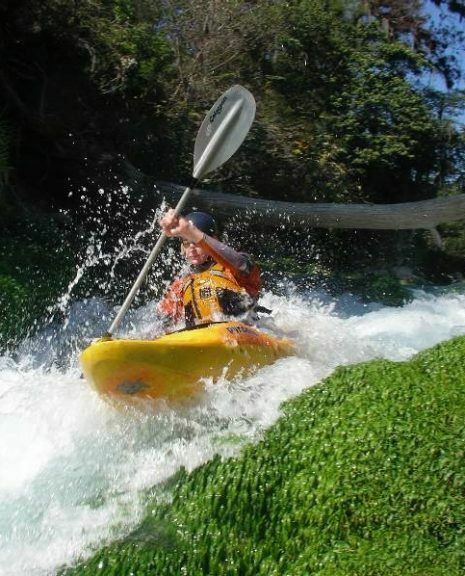 Mexico: Come paddle through the tropical jungle of Mexico as we take you to the bottom of the deepest canyons, and the tops of the tallest waterfalls. Yearly Expedition: Discover a new river each year!